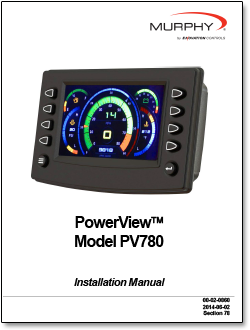 The PowerView® PV780 display is a full-featured, configurable display that integrates vital engine, transmission and diagnostic information into an easy to read operator interface. Integrate even more functionality into the display by way of the five available digital inputs. 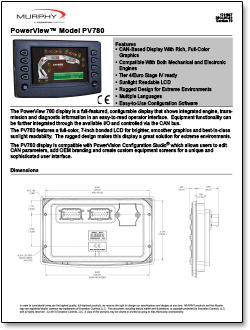 Additional switches can be wired into the display through the digital inputs and broadcast on the CANbus. The PV780 features a full color, 7-inch bonded LCD for brighter, smoother graphics and best in class sunlight readability. 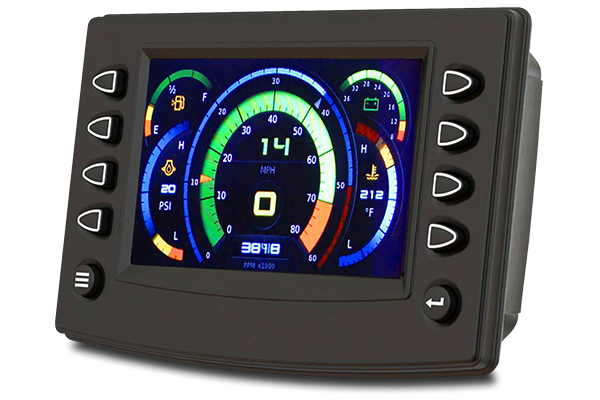 The display's bonded LCD and rugged design make it a great solution for all types of environments and applications. 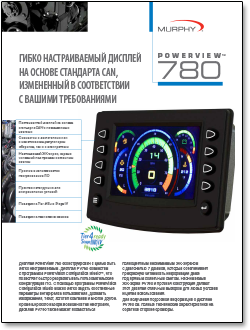 In addition, the PV780 display is compatible with the PowerVision Configuration Studio®, so custom software configurations can be quickly developed. With the software tool, it's easy to customize the user-interface, define custom parameters, add custom graphics, on-screen text, OEM branding and more. 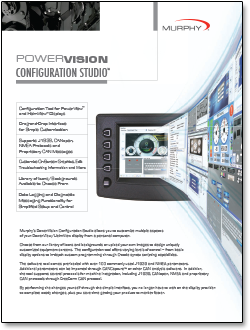 Murphy's Configuration Studio® software is available for purchase as an option. 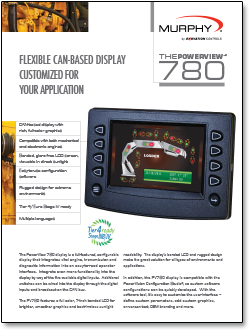 It is NOT included with your purchase of the PV-780 display. 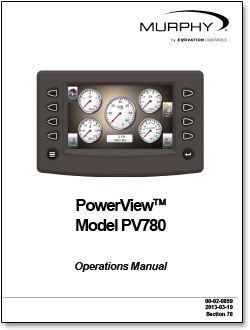 Click here to purchase the PowerView® PV780 in the MurCal web store.